“Mommy, who’s that man with the gun?” Rae asked from across the forest clearing. Arms outstretched, pistol ready to shoot, Kellen turned. Her seven-year-old daughter had returned from the stream; from the looks of her, she’d fallen in. The man pointing the pistol at Kellen’s back swung toward Rae. The distance was forty feet. She tried for his chest; the bullet struck his shoulder. It should have blasted his arm away. Instead it blew his weapon out of his suddenly limp hand and knocked him down. He screamed the way guys do when they’re wearing body armor, but the impact breaks the joint underneath. Kellen ran toward him writhing on the ground, picked up his weapon, and pointed her pistol in his face. 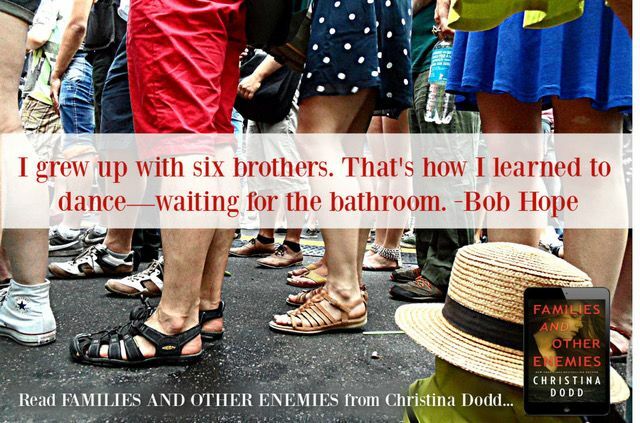 “How many more men?” she asked. “Liar,” she said, and used her foot to shove him on his face. That made him scream, too. Shoulders are so delicate. She used a zip tie to bind his hands behind his back. Rae watched, eyes wide with horror. Kellen waited, tense with fear. Had the violence scared her child so much she didn’t want to touch Kellen? Rae hoisted herself up, and Kellen started running. The shot would bring more searchers. Once the other men talked to the guys on the ground and discovered Kellen was on the move with a child, that child became a weapon in their hands. Kellen didn’t know how long she could hold out, running full tilt with a duffel bag and a forty-five pound child. Yet she had to save Rae. “Mommy?” Rae’s voice quavered pathetically. Today! 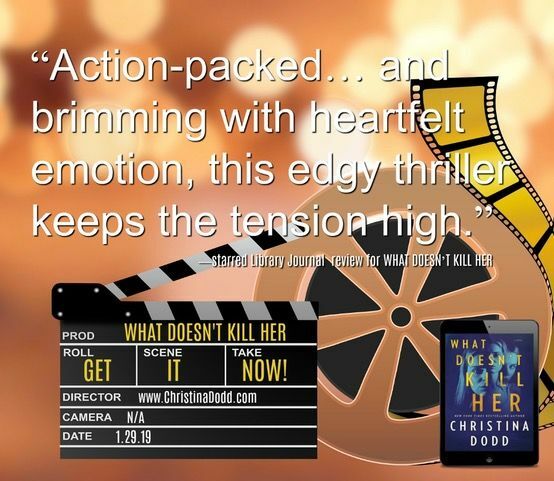 WHAT DOESN’T KILL HER is out. Library Journal said, “Action-packed… and brimming with heartfelt emotion, this edgy thriller keeps the tension high.” Starred review!! I hope you enjoy the second Kellen Adams full-length suspense in hardcover, trade paperback, eBook and audio. Find all the Cape Charade titles here. P. S. Cookies at autographings! WHAT DOESN’T KILL HER cookies!!! With the WHAT DOESN’T KILL HER cover in frosting! At both WHAT DOESN’T KILL HER autographings! 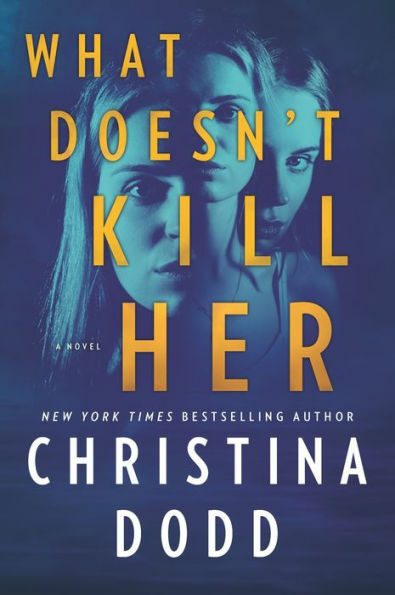 If you’re in the Seattle area, on Thursday, January 31, 2019, 7:00PM — 8:30PM, I’ll be answering questions and autographing WHAT DOESN’T KILL HER and other Christina Dodd titles at the Redmond Library. Ask a question, get a cookie! On Saturday, February 2, 2019, 4:30pm, I’ll be autographing and answering questions in Houston at the famed mystery bookstore, Murder by the Book. Ask a question, get a cookie! Autographing details here. I’d love to meet you and sign a book for you. Of course, I’ll be giving out lavender sachets! And cookies!! !